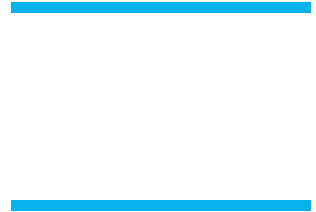 Mile 26 will be holding a special team night this Thursday (June 22nd) from 4pm-8pm- – take advantage of this opportunity to get 15% discount on everything + 15% donation back to the Buena XC program…. Buena Track Action Shots are available for viewing and purchase – with all proceeds going to the Buena Track Team. If you see any that you would like to order, just email me photo number and size that you want printed to Chad Denning (chad.denning55@gmail.com ). The Ventura Invitational will be starting at 9:00am, Buena Athletes should arrive by 7:30am. For athletes headed to Redondo Nike Invitational, the Redondo Nike Invitational is HERE. We will do a team warm-up. The 4 x 100 relay should warm-up together passing the baton. This is also the time to find the start / finish line for your event, exchange zones, LJ /TJ / HJ pits, throw areas, etc. After the team warm-up – jumpers need to check their marks. What to Bring: Uniform, Shoes- Training shoes and spikes, Sweatshirt / pants, Socks, Filled Water Bottle, Sunscreen, Healthy Snacks / Drinks, Sweatshirt, Sweats, cheering voice J . There will be a snack bar available- but beware of what you eat everyone is expected to be ready to run on a 4 x 400m team . Eating / drinking too much is not an excuse.